On April 2, I attended Harvard University’s Palestine Solidarity Committee’s event titled “IAW 2019: Black-Palestinian Solidarity,” which was held during the university’s Israel Apartheid Week. The featured speakers —Temple University professor Marc Lamont Hill, Princeton University emeritus professor Cornell West and activist/attorney Dima Khalidi—spent nearly two hours regurgitating slander, conspiracy theories and even outright antisemitism about not just the State of Israel and its policies, but Zionism and Zionists writ large. An attempt to unpack and disprove every single falsehood uttered during the event would fill dozens of pages, but the speakers’ overall claim was perfectly clear: Zionism is an oppressive structure that needs to be challenged and ultimately destroyed. The fight for “freedom” and “liberation” in Palestine is fundamentally connected not only to the black community’s struggle against police violence in America, but to the worldwide fight against all forms of systemic oppression (white supremacy, colonialism, capitalism, South African apartheid, American “empire,” etc.). The anti-Zionist cause is inherently righteous and worthy of steadfast support, despite the cries of dismay from the pro-Israel community. 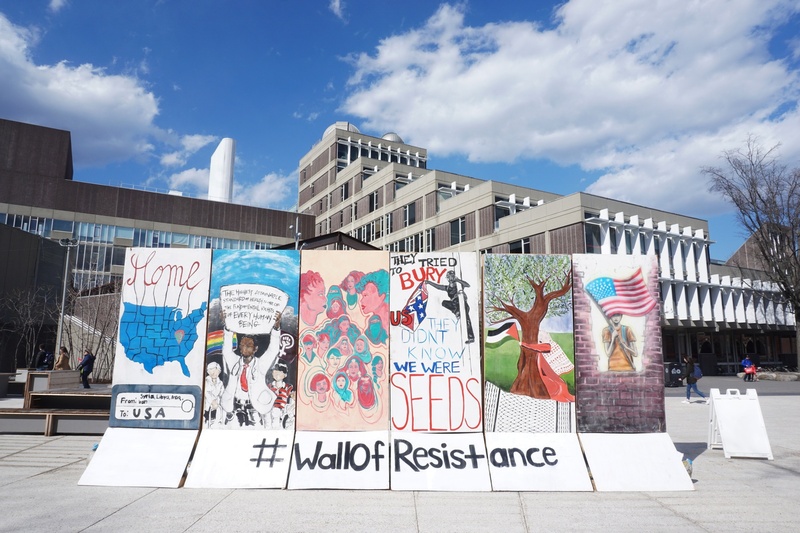 Harvard University’s Palestine Solidarity Committee’s “Wall of Resistance” (thecrimson.com). Of course, there is nothing virtuous about “victory” over Zionism. No matter how it is spun, anti-Zionism is the belief that the Jewish people should be stripped of their right to self-determination. It is a brazenly destructive ideology that fixates not on empowering Palestinians, but on disenfranchising Jews. In a world of dozens of nation-states organized around religious majorities (Norway, Denmark, Finland, Greece, Scotland and dozens of Muslim countries), it aims to upend the character of the only one that is Jewish. Unless one’s anti-Zionism involves equally loud calls for the systemic dismantlement of all the world’s religious nations (it usually doesn’t), then it is discrimination against the Jewish people. This concept should be a no-brainer; double standards are one of the clearest indications of discrimination. World Jewry does not deserve exclusive chastisement for their national movement’s mere existence. The binational “one-state solution,” which amounts to the end of the Jewish state, would also deny the protections of a stable sovereignty to Israel’s Arab citizens, who enjoy more freedoms than Arabs in other Middle Eastern countries. This malicious and antisemitic sophistry is entirely disconnected from reality, as it accuses Jews, who are a racially diverse people, of perpetuating the very forces they sought to escape—the forces that slaughtered 6 million of them in the Holocaust. To these extremists, Zionism and the Jewish state do not represent a refuge and salvation for one of the world’s most persecuted peoples, nor a free and democratic society where Arab judges sentence Jewish ex-prime ministers to lengthy prison sentences, nor a haven for the LGBT community from oppressive neighboring states, nor a profound part of many Jews’ identities, but an “oppressive” structure in need of dismantlement. They see Israeli military strength not as a continuation of the millennia-old Jewish fight for survival, which now confronts an unapologetically genocidal Iranian regime and its heavily armed proxies, but (absurdly) as Islamophobic subjugation of brown people. These commentators are, it seems, both unable and unwilling to understand the elements of the Jewish experience that have inspired Zionism. They echo a radical worldview that paints all geopolitical issues as romanticized dichotomies of “weak” versus “strong,” and “oppressor” versus “oppressed.” Such narrow frameworks are antithetical to true, serious debate. Nor can there be exploration of the ongoing and extreme antisemitism purveyed in Palestinian media, schools and political discourse that incites devastating violence. 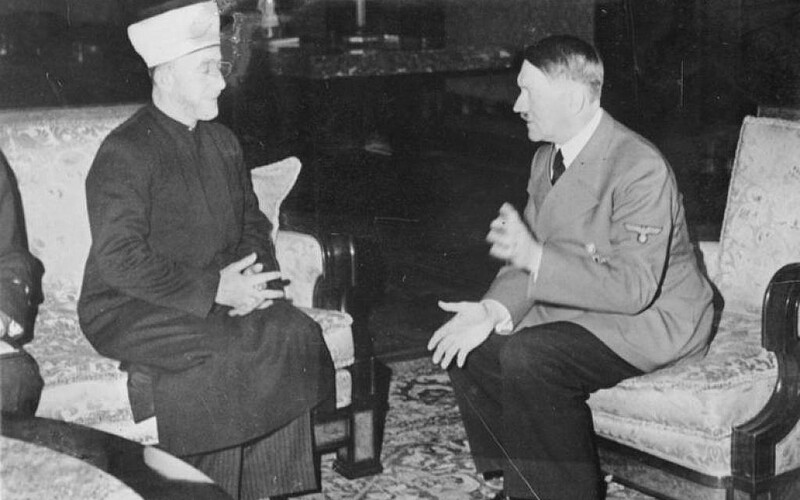 The speakers’ pleas to their audience of nearly 200 people to “never minimize” antisemitism were especially ironic given their own slanders of the Jewish state, as well as their unwillingness to acknowledge the calamitous Jew-hatred that has contributed significantly to the seemingly never-ending Arab-Israeli conflict. The enthusiasm of the audience who applauded and cheered the panelists was no less troubling than the messages that were delivered. It is a direct threat to Jewish safety, especially in the Middle East, and must be unceasingly challenged in the marketplace of ideas. All who genuinely seek a peaceful Middle East should engage in rigorous, full and open debate free of baseless jargon and sterile groupthink. Contributed by CAMERA Campus Coordinator Zac Schildcrout.